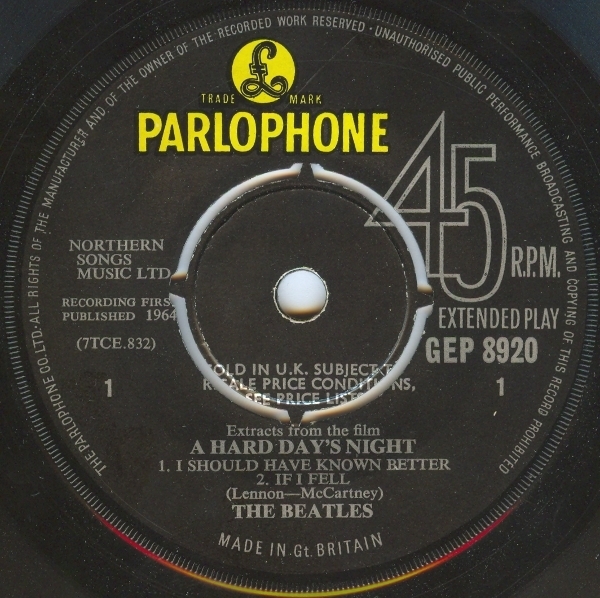 In 1964, Extracts from the Film A Hard Day's Night was first released in UK by Parlophone. 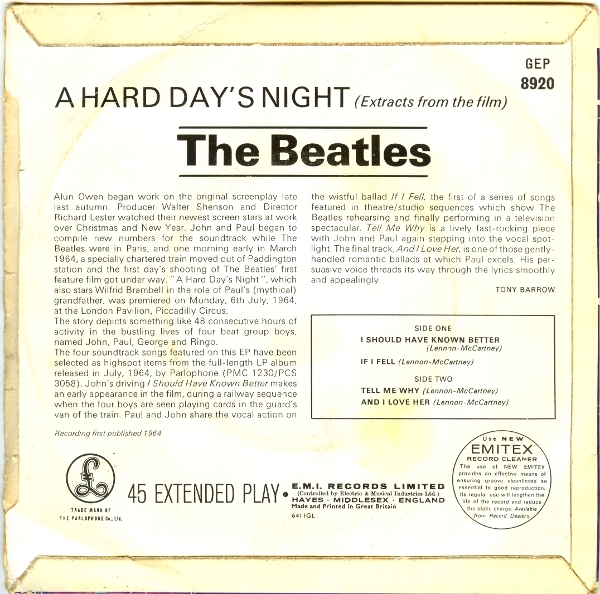 "Anochecer de un Día Agitado"
"Extracts from the Album A Hard Day's Night"
In 1964, Extracts from the Film A Hard Day's Night was released in UK by Parlophone. 1. "I Should Have Known Better"
2. 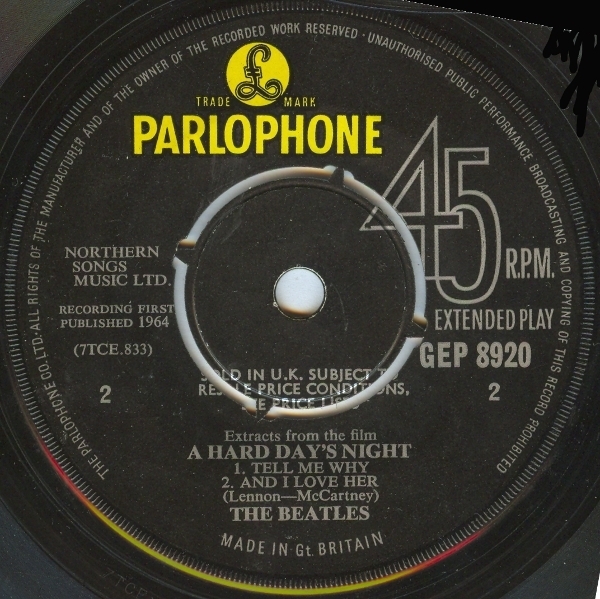 "And I Love Her"
In 1964, Extracts from the Film A Hard Day's Night was released in Australia by Parlophone. 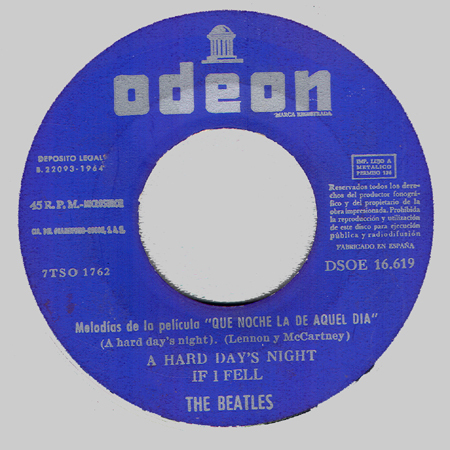 In 1964, Extracts from the Film A Hard Day's Night was released in Spain by Odeon. 2. "I'm Happy Just to Dance With You"
Title "Que Noche La De Aquel Dia"
In 1978, Extracts from the Film A Hard Day's Night was released in New Zealand by Parlophone.